BBC NEWS | Have Your Say | Has the internet changed the way you listen to music? Has the internet changed the way you listen to music? We discussed downloading music in our weekly global phone-in programme Talking Point. Our guests were songwriter Phil Galdston and music journalist David Quantick. Practically every song you can think of is available to download on the internet. The problem for the music industry is that many downloading services offer music for free, which robs artists of their royalties. Some artists argue that free downloads actually help their sales, but record companies say the practice is threatening the industry. They've taken court action against people who download music illegally, and have begun to provide websites that offer legal copies of songs for a small fee. However, failure to agree on licensing means that there are fewer songs available from these sites. Despite this, experts predict that internet downloads will lead to CD singles being phased out in the US within three years. Has the internet changed the way you listen to music? Does file sharing hurt the music industry? Is it right to sue people who download music for free? What do you think of the legal downloading services? The sound quality of MP3s is lousy and sounds as though it has been digitally processed. You can't beat CDs for sound quality. I'll keep buying CDs. Despite the opportunity to download from the internet, I have never done it. On the other hand I find today's music productions to be so mediocre and over-priced that I have become very selective and only buy one or two CDs per year and even then when I find them in a sale. It is clear that the music industry is not recognising that it is going the same way as the American space shuttle! The internet has allowed us to discover artists we'd not heard of before. We used to buy CDs on a weekly, if not daily, basis and have a massive collection. We stopped buying them so regularly when the prices went so high. More often than not you like less than half the tracks on an album and the price is just too high to justify the few songs you actually want. The Music Industry thinks that the drop in sales should be compensated for by increasing the price when actually lowering the price would encourage more people to go back to buying. If every artist had their own website where you could listen to a sample of every song, then select the one's you wanted to buy, they would have much larger sales. Yes, I think it has, because downloading songs, specifically rare songs, have been more easier to find on the net, rather than sifting through tons of discs in record stores. It also gives you a choice on what you want to hear and when you want to hear it. It may not replace real or live music, but its a good source of music if you don't have time to get tickets and go to concert. More and more the Internet is replacing the value of distribution chains. The music companies could have steered the creation of new business models in their favour but for remaining comfortably on their ivory towers. Music will be cheaper or not but less money will end up with the big companies. Musicians are not dependent on large companies' decisions as virtually anyone can record and publish music in the Internet, the choice of quality, price and variety will be wider. It's a different world and there will be space for everyone including the large companies. The internet has made no difference. Nearly all the music I listen to is live; in the concert hall, down the pub, at festivals. That's 'real' music. I think that the internet has definitely changed the way I listen to music. As a fan of improvisational jazz-rock-blues, which is heavy on live performance recording, there is a great deal of legal access to music through streams and downloads through numerous sites that are endorsed by the musicians themselves. At the same time, the music provided online allows you to more easily discover artists you would not normally be able to hear on the radio or find in a record store. The internet has changed my buying habits. I used to download music illegally, but I do this less often now because there are great independent web sites selling digital music which you can preview for free, and then buy very cheaply. bleep.com and magnatune.com are the best. I can play my downloads on my new iPod-like mp3 player as well. The quality of digital music for sale has gone up a lot in recent years. Without the internet I'd still have spent exactly the same amount of money on music as I always had. I stay loyal to the bands I like and buy their CDs. I use the internet to download music I would never have bought from a shop. So the fat cats don't lose any revenue from me. I've lots of music CDs and cassettes. But none of the technologies gave me as satisfactory choice of playing continuous and variety of songs as offered by combination of computer and the Internet. I still prefer streaming music to download. So, as I see it, newer technologies have been favouring corporate houses in most cases for long. From mono to stereo, gramophones to CDs-every change grabbed bigger share of our money. For a change, it feels good to get it all without draining my pocket. Illegal downloading will only increase with the Industry forcing CD-WOW and Play to source CDs from inside the UK. People already feel ripped off by the Record Industry. I'm sure people would pay for music if they thought it was reasonable priced. The fact that downloading music hurts the artists is absolutely rubbish. The fact is that artists see very little of the money that comes from the sales of a CD. So in essence this is hurting the big record companies and multibillion dollar corporations. The fact is that millions of people are listening to a more diverse collection of music because of MP3 downloads, many listening to bands they would have never purchased otherwise. But because of this, they are actually spending the money to go see these artists in concert, spending money on t-shirts, etc. This is where the artists make their money. The internet hasn't changed the way I listen to music much but Freeview has. I've got music channels which I can match to my mood now so I find myself reaching for the CDs less often. The internet is certainly the reason why record sales have dropped, but it should not be blamed. Like any other part of any other industry, record companies need to see that their products are simply too expensive and lower their price. Supply and demand! I am a songwriter/musician and I have songs available for download from the well known music site Vitaminic. Many thousands of people from all over the world have downloaded my songs (for free) and this has given me tremendous pleasure and satisfaction. It is a means for those of us who do not have record deals to bring our music into the public domain. OK I don't get any money but I do get the satisfaction, I've even had fan mail! I think the internet is a great contributor to bringing music from unsigned bands to the attention of fans. If downloading songs is ruining the music industry, then why do their executives still ride in limos and I have to make do with a second hand Ford. I just think that the recording industry has become too greedy and the net is the great social equalizer. I think the music industry makes the mistake of assuming that every album downloaded off the net is a lost sale. I doubt it very much. A large proportion would never have bought the album anyway. Downloading is introducing them to something they would never have considered paying for. The industry should look at it as a marketing opportunity. The club music scene in Europe is generally one to two years behind the UK, so I've been glad to be able to listen to all those hard London garage stations and download music via the Net. The effect is that when I do visit London, I know which CDs I want to buy, and I buy a LOT of them. So the music industry should be pleased with the Net. People don't download music because they don't want to pay, but because it is faster, easier and the collection is much wider. The moment the music industry realises this, and makes an effective pay-to-download system, most of the problems will disappear. I think that every person has the right to earn a livelihood writing or singing songs, and if they do it well they may live well. In this perspective music is a way of life. Considering this, why does "profit" have to enter the picture, "music industry", "royalties"? To me the current method of music distribution, both sanctioned and not, marks the end of the corporate music machine and a return to the artistic individual. I expect and hope this trend continues. People blame the music companies for not producing decent songs and causing a drop in sales. The music companies blame the internet for a drop in sales. If the music is so naff, what are people downloading? Why doesn't Justin or someone equally popular release a CD at a price of £2.50, not only will he be guaranteed number 1 but he will probably make his normal profit as well. The only losers will be those who cheat from someone else's talents. I stopped buying lots of CDs when the price started to rocket and they started to churn out manufactured "Pop Idol" pap. The fact I can download music from the internet now has no bearing on my decision to stop buying as many CDs as I used to. The responsibility for the drop in sales lies squarely with the greedy, grasping recording industry. If they stop blaming the internet and suing people for sharing files then maybe, just maybe, they might realise it's all their own fault. With the internet I am no longer forced to listen to the radio. I am hoping that file downloading/sharing will hold the artists and movie makers more accountable for the quality of product (here lately, garbage) that they produce. Quality is the only factor and if these labels would recognize it, there's money to be made from the internet too. For those who label it as "theft": downloaders are not taking credit for producing the songs or movies. Hey folks remember we are the ones that made the music industry what it is today by their products! If we want to make them sit up and listen we have to STOP BUYING THE PRODUCTS OF THESE LARGE CORPORATIONS! Believe me that will soon have an impact on the prices of all CDs! I think more people would use legal download services if the tracks were cheaper and the record companies ended their love affair with digital rights management thus giving the consumer back the 'fair use' over the content they have just purchased. As for suing people, I think the recent news that copyright theft will be targeted by the FBI shows how close the music industry is in bed with the political establishment all because of one reason: greed. Yes, whilst I download quite a lot of stuff, most of it gets deleted as I don't like it. Those tunes I do like I download a little more and then tend to go out and buy the artist album. Surely this is a good thing since I don't listen to the radio as I don't find the time. Living in Qatar, new album releases take months to reach the stores here, often selling out within days with a further wait of weeks before new stock arrives. Thus I find it better to just download the album and, if I really enjoy it, eventually purchase it when it's on sale. If the music industry is suffering a loss in revenue it can only be a good thing. If they would produce something worthwhile maybe people would buy albums instead of downloading. As a classical music lover, I am thrilled that for the first time I can listen for free to a huge range of music which, in the past I would have to pay to borrow from the library, or, more expensively, from a shop. I never download - the sound quality is not good enough. But I buy more CDs now that I have "discovered" music which I would never have come across before. And it has been great for my children's musical education too! I am an independent recording artist, and I own a small music label. Without payment for our music, the bands, artists, and musicians on my label can't afford to continue to create new music. It's not "big greedy record labels" that get hurt, it's the musicians that get ripped off. And without us to create new music, you'll have nothing but commercial schmaltz and oldies to listen to in the future. Did recording off the radio to cassette ruin the music industry? No, so what's changed? The music industry is just that: an industry - a nameless faceless corporate enterprise, too far removed from creativity and humanity for anybody to care what happens to it. I want nothing more than to share the music I make with people. Once you build up a decent reputation people consider buying your music. The only side of the music industry being damaged is the contrived, manufactured and overpaid commercial sector. Internet downloads are a boon for emerging artists. Long may it live. Maybe the record companies should look at how much money they waste on partying, before they start moaning about how much money they are losing to the downloaders. Plus if they 'bought' artists for smaller album deals, instead of giving away millions at a time on one artist, that would save them a bit. They should remember they are only in business to promote and sell an artist's work. The artist doesn't work for them. Considering that the industry went to such lengths in order to prevent retailers from selling cheaper CDs. They surely have a nerve complaining, when the consumer bites back. Perhaps CD sales are dropping because the compact disc is an inconvenient medium. I hardly buy CDs and when I do, I end up sticking them on my PC anyway. Time to smell the coffee and focus more on online-retail? For people who want really good music there is only one way to see it, LIVE. What artists are going to have to learn is that they need to cut out the middle man and do more touring and fewer albums. Good bands/artists don't need to issue a new album every six months. Of course downloads hurt the industry. What do you think free petrol would do to the oil industry? The big labels continue to make manufactured pop because it is cheap to produce. Music CDs nowadays have become too expensive to purchase just because of a single track you like. At the end of the day, you never know if you are going to like the whole CD album itself or not. What the music industry should do is somehow create a form of cash inflow for them to benefit from these music downloads. Unauthorised music copy and sharing is copyright infringement. It can have criminal intent or not but in any case it is not theft. No matter how you look at it. If it were a theft, by definition there wouldn't be unauthorized copies. If someone makes a copy of the Mona Lisa does not steal it. He/She just make a copy that can be authorized or not. Theft associated with music copy is a marketing plot invented by the music industry than unfortunately does not reflect the truth. No. I still prefer the hardcopy (vinyl, CD). The problem is that I now have so many albums that I've become exceedingly choosy about what I buy. A lot of manufactured bands currently being heavily plugged via mainstream channels just don't cut the mustard. What the internet has done is to allow me to explore what is going on in the music scene and introduce me to artiste's I would not have otherwise bought recordings by. The industry deserve it. They have controlled the music world for decades; they release awful, manufactured music and then expect £15 for it. I file share extensively, however I also buy CDs regularly in the last month I have bough 12 CDs of music I downloaded. The industry should wake up and smell the broadband and with it. It all boils down to control, the Music Industry likes to control the music. 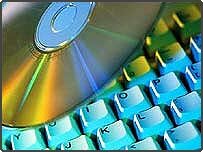 That new CD you have just paid £14 for, it might not 'rip' into mp3s because of copy protection measures used on CDs, so those who pay for CDs are getting less than those who pirate, it should be the other way around! These days I listen to "free" music from the internet and I spend the money I would have wasted on over-priced CDs on tickets for live performances instead. I have never understood why a record company should get paid over and over again for an artist's single recorded performance. I would much rather pay good money to see a good live performance from the artist. If CDs were cheaper e.g. £5 each then I'd buy them but I'm not going to sit back and let the CD producing cartels fleece me three times that for a CD that costs 5p to make. I have bought more CDs since I can get a song or two from an album for free and then decide I like it enough to buy it. Also the record industry is complaining about music sales going down when DVD sales are booming. Personally I only have a finite amount of money and have generally been buying more DVD's so my CD buying has dropped. They are still making big profits, just from different sources. I download a lot of music, and from this I learn about new bands. I now buy a lot more music than I previously would have, I have much more varied tastes, and if the music is of good quality, I buy the original. No - we should blame the music industry for moving away from music produced by people who can write, sing and play their own music so that there is new and innovative music to buy and listen to. Instead they fill the airwaves with manufactured bands/singers who pump out generally poor cover versions or poor new music. The only thing killing the music industry is the greed of record companies. £17.00 for a CD that is then "cut price" for £6.00 within 6 months of release.... I do not think so! Get real and charge a realistic price - £10.00 for a CD would make more sense and increase sales. Same applies to DVDs. All in all, file sharing is wrong and should be illegal simply because it's not fair to all those who put in the hard work to produce the CD in the first place. Music simply doesn't SELL anymore, that's why file sharing covers a requirement. The music industry will have to come up with something to woo back consumers. Limiting file sharing will only do more damage to the industry. Downloading music gives potential buyers the opportunity to 'try before they buy' in the comfort of their own home. If someone really likes an artist or an album, they're always going to want the original. On another note, the record industry is reaping what they sewed twenty years ago when they decided to rip the public off when they took on a media that cost a fraction of the price of a cassette to produce, but charged twice the price. Hit them in the pocket, make the fat cats streamline and cut out the pap in the pop charts. Theft is theft, no matter how you look at it. The record companies fear file sharing because they no longer have their monopoly on what people listen to. Since the invention of Napster, I have been exposed to so much more music than the garbage the record industries put on the radio and MTV. The record companies deserve what they get for turning an art into such a commercial venture. They have ruined music. These little CD thingies will never catch on for music. Let's stick with proper vinyl records and needle pick up. These technology advances will never change the way we listen to music. There's no real defence for downloading music illegally from the internet - it's going to stay illegal, and probably (if this makes any sense) get more so in the future. Does that matter? No. Music is too expensive to purchase. Twelve to fifteen pounds for an album CD is a ludicrous price to pay. If the record industry wants to beat file sharing, it's going to have to realise that compromise is the ONLY way to go. File sharing forever! The music industry's insistence on charging high prices for music (e.g. CDs) makes use of internet sites so much more attractive. I do not mind paying a reasonable price for music, but I feel we have been overcharged for many years in UK and it is time consumers retaliated against the industry. The record companies are missing a trick here. Their inflexible attitude is doing no one any good, least of all themselves. The internet is evolving and the record companies are being left behind. It's never a good sign for an industry when they start suing their own customers. Greedy record companies deserve to lose some of their excessive profits, but the artists who have poured their heart and soul into their music don't. As a musician, I want my music heard but I deserve some reward! I'm sure downloading music from the net does hurt the music industry but then the music industry has been hitting the public hard on the cost of CDs. I remember when CDs first came out they cost £16.99 giving them a massive profit. If they hadn't been so greedy then maybe people would be willing to pay a reasonable price for the real product. If I lend a CD, tape, DVD or video to a friend have I broken any laws? Whether they copy the CD, DVD etc. is totally out of my control. File sharing on the Internet is exactly the same principle. Anyway, the message to the Music companies is quite clear - reduce your prices or watch your sales fall and fall. In a day and age when the Average Joe has no power/influence over anything (government corruption or dishonesty, foreign policy motivated by greed, petrol prices etc. etc.) it's refreshing to see People Power at work for a change. Since I started downloading music, my album buys have gone from one or two a year to three or four a month. I use it as a "try before you buy" service. I have downloaded films and music in the past, if I was unable to do so I wouldn't be going to the shops instead. However if I did download an album I liked (rare these days) I would still go out an buy it. Sure it hurts the industry, but with the amount artists and especially record companies make they can afford to loose a bit of cash. You make music for the love of it, if you then go onto make a living out of it then it's a bonus. They don't need to earn as much as they do. If I buy a CD and lend it to my mate who thinks it's cool and goes out and buys his own copy then that's good for the music industry. If I load it onto my pc and let someone listen to it that way, who then decides it's cool and goes out and buys his own copy then that's bad for the industry? Surely the more people who have access to an artist's music, the more chance they have of selling records. Making music is all about getting out there and getting your music heard and recognised. The internet is the world's biggest communication device. This opportunity should be embraced by record companies. Music is too expensive. The cost of buying is disproportionately large compared to the manufacturing cost. Could it be that much of the new music on sale simply isn't worth spending money on? I personally believe that online file sharing is an amazingly altruistic process. It never ceases to impress me that people are willing to give away the songs they themselves purchased, or at least, give up internet speed to let people download from them. Since no one is profiting, I don't believe this is theft. If anything, file sharing shows human beings aren't as self-cantered as we accuse ourselves of being. I don't think so, I think that the prices of the CDs must decrease, before the people will stop downloading music. The tracks I used to download from Napster were all very old ones which were difficult to buy, it did not stop me from buying up to date music, so why stop it! A friend of mine regularly downloads gigabytes of MP3s and DVDs. He watches an average of 4 - 5 pirated movies a week. I once asked him: If you weren't able to download pirated files, would you buy/rent all that music/all those movies? Answer: an emphatic no. Piracy has created a new market: the person who wasn't going to buy the stuff in the first place. If the prices of CDs were not so exorbitant to begin with this would never have happened. If songs were a dollar an MP3 a long time ago, do you think people would have bothered with illegal downloads. I have never paid for music in my life and I don't ever intend to do it. So, as long I can get it for free, I download roughly 10 tracks per month. Even if there are no free music downloads in the future, I will not go to the store and buy CDs. In that case I'll listen more to the radio, and enjoy free music. I have to download music now because most CDs have copy-protection which means I cannot play them on my stereo (my CD player is also a DVD player). Also I could not make compilations from these CDs... I have an MP3 player which I use all the time - the copy-protected CDs don't let me use the music as I want to and I pay for! We've been here before... Remember "Home taping is killing music"... Did it kill music? No. It enabled music buyers over 30 to develop their tastes, which has since translated into revenue for the music industry when they had more disposable income. Until the suits in the industry get their head round this, then the only thing that will kill the industry is their outdated business models! Restricting the top 10 to original music might help. A price of $15 to $17 for a CD which I may like or not, and which in all probability I am going to listen for not more than a week, is simply too much to pay. If I like the song in MP3 form, I buy the CD, otherwise that MP3 file is just another file lying on my PC. Those who don't buy music won't buy it irrespective of whether downloads are stopped or not. You mean it's finally dawning on clueless teens and twenty-somethings that there really is no such thing as a free lunch? Or music for that matter. Sooner or later the folks that create the tunes are going to wonder why they bother when no ones seems willing to actually PAY for their efforts. Or is music another global "entitlement"? Er, i was under the impression that UK album sales bucked the global trend and had risen 7% this year? It's just single sales that are down and that's because they are mind numbing, formulaic and bland. I have bought more albums from more artists since downloading MP3s. Long may that continue. The music industry didn't change with technology like other types of commercial business. Instead of offering things on the net they wanted to sue and take people to court. Even though downloads do not hurt the music industry it would serve them right. Since I know people who only download music and don't buy it I'd have to say yes. While CDs remain unreasonably expensive the incentive to circumvent any copy protection will remain. Having said that, I only buy CDs, but then I can afford to. I wish it did, because I'd dearly love to see the big labels wiped out altogether. Not content with ripping off the world for decades, these huge corporations continually pollute our music scene with insipid manufactured nonsense. Let musicians manage themselves - if they're any good, they'll still make a fortune, regardless of downloads. The only bands/acts that suffer from Internet downloads are bands with albums with 2 good songs and the rest fillers. I have personally been buying more music since using Kazaa because once I find an genuinely good artist/album I feel they deserve my money. Market forces should dictate the economy of music retail. If less people are buying then prices should come down. If CD's were more reasonably priced, downloads would not be as prevalent. The music industry are shooting themselves in the foot by not adapting to change quick enough. I don't recall the FBI turning up on my doorstep when I was taping the Sunday Chart show many years ago. Is that because the profit margins on CD's are so much higher and they have so much more to lose? Maybe when our music costs the same as the rest of Europe, I'll consider the legal alternative to peer to peer networking, until then, not bloomin' likely! Downloaded music has hurt the music industry significantly. Napster undermined record labels such as Sony and EMI by obtaining their artists music illegally. If record producers want to reverse this trend, they must get tougher in punishing those who obtain their music illegally. The only way in which they can achieve this, is by co-operating with the courts in eradicating this menace. Downloaded music files are often of very poor sound quality. Of course the recording industry hasn't thought to advertise that fact in its anti-piracy campaign because they are too busy creating "image" to worry about silly little things like how music sounds. When i first started work, young people spent most of their disposable income on beer and records. Now that we have DVDs, mobile phones, computer games etc (and of course still beer), is it any wonder that music sales are down. The issue is not so much downloading for the sake of downloading but high prices leading to people been reluctant to try new artists. Also music from the 60's and 70's is still priced as a new CD when fat profits have already been made. The music industry has its problems, but when piracy became one of them the industry's suggestion of shortening albums was crazy. The majority of people will pay for a good album or single but with bands like the Strokes churning out albums at around 40 mins of music for the same price as a 68 minute album what are people expected to do? I shied away from the music industry 16 years ago in the face of the dreadful business side. I'd struggled for several years to gain recognition, and when it arrived and I saw what it involved, I decided to choose another path. I would rejoice in the thought that "payback time" was imminent. Produce CDs on your own computers and publicise them using the Internet, then approach the "gangmasters" on your own terms. Power to the people, at last? Now that all CDs are to be protected, preventing me from playing them in my car, I'm going to stop buying them completely. I get the impression that the record industry does not trust me, while simultaneously overcharging me for CDs with two good tracks and ten additional tracks of filler. If it really is hurting the music industry why are singers and producers still living in billion dollar mansions and living large??? Downloading isn't killing music, merely changing it. "Industry Approved" music is, by and large, awful and I'm not surprised that sales are slumping. The amount of CDs I've bought from independent labels in the past year FAR outweighs those that I've bought from major labels and that is because their releases are consistently good with interesting and innovative packaging. I seriously doubt that their releases are included in the RIAA's figures though. Major labels need to understand that people will only pay for quality merchandise and £16 for a CD of bad music is in no way value for money. Perhaps, the reason for drop in sales is the drop in quality in the last decade. I think it is a ridiculous correlation. The drop in sales is attributed to the fact that the music industry has not turned out anything new and noteworthy in years, except plastic faceless pop, kept CD prices artificially high and the board stiffs believe that if we so much as whistle a tune, it is copyright infringement and "unlawful reproduction". How can file-sharing be illegal if there is no profit involved between the sharer and the downloader? Companies that crack down on sharing files will miss out on my £££'s! File sharing does not hurt the industry. I download music from the internet from both peer to peer and artists' sites offering free samples. As a result I have heard more new artists and bought more CD's. Companies that crack down on sharing files will miss out on my £££'s! In the short run it will procure substantial financial damage to all record labels/companies. However, i believe that file sharing will only benefit it in the long run, forcing the music industry to evolve and progress technologically. Now major record labels will pull their sleeves up and make the most of this opportunity. It hurts the industry, it is stealing, it hurts the artist, but I don't condemn people for doing it. In the US, our laws are so arbitrary that if you download a song that is playing on the radio, you get in trouble, but if you record the same song from its radio broadcast, nothing is going to happen. While the industry does have a ground to stand on, but they are surely kidding themselves if they believe that downloading is main the reason for slumping sales. Maybe if the music industry got back to the idea of singers actually singing and musicians actually playing instruments things might improve. The only thing it hurts is the huge profits of the music industry and that I think is no bad thing. For years, here in the UK, we have been ripped off with CD prices and now prices are now finally dropping thanks to file sharing sites. People will buy CDs as long as they are sensibly priced. The only thing hurting the music industry is... the music industry! The only thing hurting the music industry is... the music industry! If I want to get any MP3's of legal music then I have to move to America and use services like iTunes which aren't available in the UK. Time and again evidence has shown that downloading increases music sales. It does this by enabling consumers to "sample" new acts without making a financial commitment. Then, if they like what they have heard, they are more likely to purchase material by the act concerned. By this method, everyone wins out. I can't see how allowing completely unrestricted free downloads will help the industry. Businesses need to charge and make a profit to stay afloat, and piracy is an infringement of the copyright owner's legal rights. It's a different question from how much should CDs cost, and how much artistes should receive. But record companies have only themselves to blame for encouraging piracy by charging such outrageous prices. Yes, I say it does but they did do it themselves because of the extremely high costs of CDs / DVDs. I think it's about time monopolies commission investigates these costs and recommend a reduction in the retail price of CDs & DVDs as the costs of technology in creating such items have come down dramatically.